As NEW. I purchased it new (1 yr. ago) from Kerrisdale Cameras and have used it only for non-commercial personal use only. I recently had the lens inspected by Kerrisdale (in Jan 2019) and they have deemed the condition 'as new' No scratches or marks or issues of any kind. 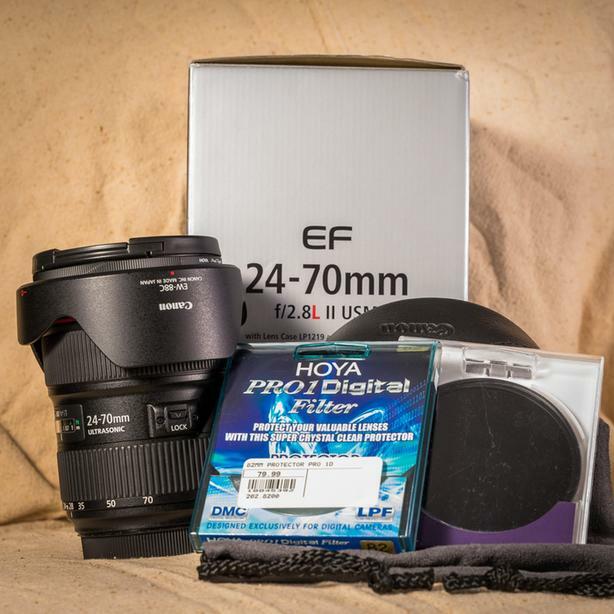 It has all the original packaging and includes the lens cap, lens hood, rear cap and... I have included an 82mm protective filter and an Ice ND 1000 82mm filter. This tried, tested and true glass is very popular with professionals and amateurs alike, and is a fantastic all-around lens. This a fast, sharp and versatile lens at a great price. You will love this lens.